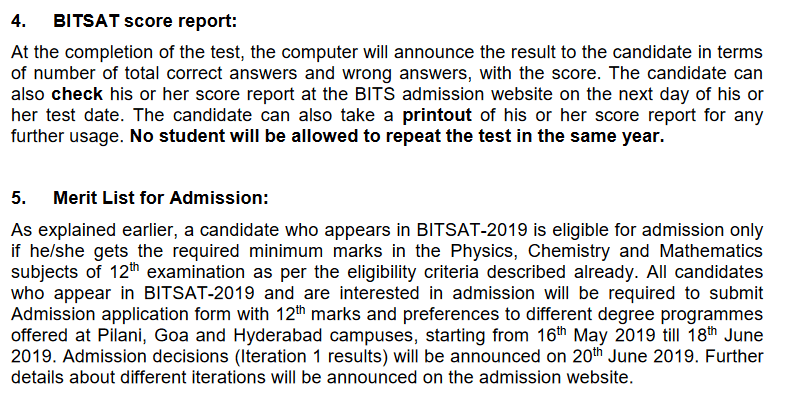 BITSAT Result: BITS Pilani will declare the result of BITSAT 2019. BITSAT is an entrance exam conducted by BITS Pilani for the various campuses of the BITS located at Goa, Pilani, Hyderabad, and Dubai. It is an online computer based exam conducted every year for those candidates who want to pursue the Undergraduate and Integrated courses from one of the BITS campuses. The exam will be conducted between 16th to 26st May 2019. The authority will release the BITSAT Result after the BITSAT Exam is over. BITSAT will release the seprate cutoff for each campus for all the category and for all streams, Check BITSAT Cutoff. 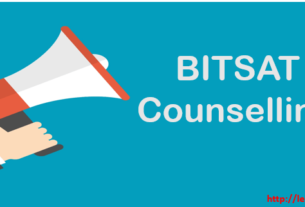 The BITSAT Counselling process will be held in 3 round and the Counselling Dates has been decleared with the BITSAT 2019 Notification. Admissions in BITSAT will be made on the basis of merit list. The merit list of the candidate for admission will be based on the score obtained by the candidate in the BITSAT-2019. However, their eligibility for admission is subject to fulfilling the requirement of minimum marks in 12th examination. BITS Pilani will declare the BITSAT Result on their official website. The result will declare just after the exam done. BITS Pilani will declare the BITSAT result most probably in the 3rd week of May 2019. Candidates can check their result online. The result will declare on the website www.bitsadmission.com. To check the results candidates, need to log in themselves with the help of their Application Id and Password which they would get at the time of Registration. The result will declare in the form of the scorecard and the scorecard will contain the total marks scored by the candidates in the BITSAT 2019 exam. After the result declaration counseling process will begin. For the counseling process first, the cut off list will declare by each campus and on the basis of the cut-off list and marks scored by the candidates, candidates will further call for the counseling process. All the candidates are advised that when they check their result take out the print of the result and keep it safe till the last date of the Admission. If two candidates score equal marks who will be given preference to decide so the marks of each subject count separately. At last the 12th PCM marks take under consideration. How to Check the BITSAT Result 2019? Click here (“link will be provided here soon”). Fill the details to log in yourself. Enter the Application ID No. and password (that you get at the time of registration). Check the result and click on the print button. Now take out the print of the result.